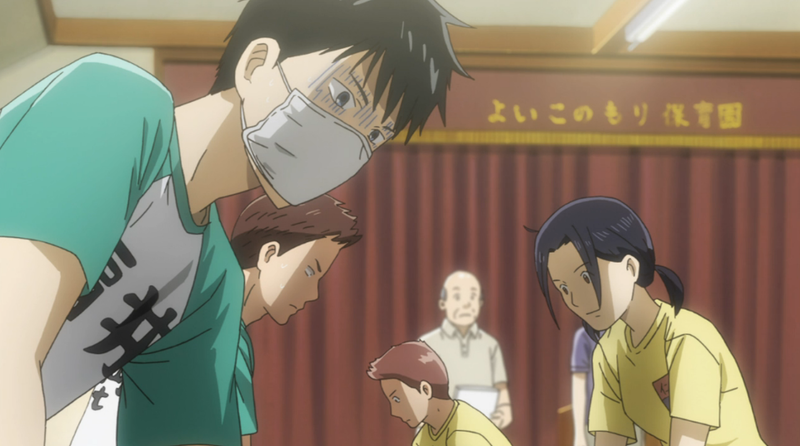 Recap: In the most filler-y episode to date, Arata arrives on the scene to watch Chihaya and the gang play, only to find himself roped into breaking the rules to help one of his hometown’s schools. A bit of a slow week here, somewhat disappointing as I was hoping for some big Karuta action after last week’s return to form. It seems we finally have the viewpoint back on the prodigal friend as he hopes to surprise Chihaya and Taichi by making it to the team tournament. There he meets Shinobu, who mocks team players, believing they don’t appreciate the sport as much as they do. Arata’s own opinion of that statement is basically the moral of this story. With how much the top schools have been played up, I hope the next episode is versus one of the two Komano had his eye on. 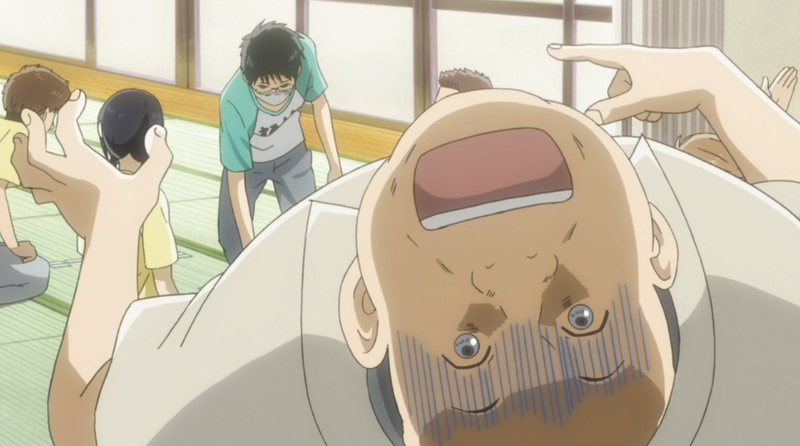 This is the first episode of Chihayafuru that really felt like a filler even though it has ramifications to the plot. I guess I’ve just never had a reason to be emotionally invested in Arata since the story barely ever includes him, but having him come back like this just didn’t mean much to me. Once we get back to the team, the one that we’ve grown with this past year, then I think I’ll perk up a bit. Its character development. And if Arata is suppose to be Taichi’s rival in love and in war, this is pretty much an essential episode. That said, how can you not find an episode featuring a god-like character thrilling? By the way, the “mocking” scene did not imply the guy knew Arata’s grandfather had been struck by illness at the time. That’s another part that kinda annoys me too. Sure, all three had been out of contact for a while, but she’s barely had more than a handful of conversations with Arata since forming the club. You’d think her feelings wouldn’t be as much in Arata’s favor as they seem to be. I thought the scene mentioned that he knew Arata had to now take care of his grandfather, I felt that meant he at least knew he wasn’t well, which still isn’t cool. Still, given 30+ episodes so far, Chihayafuru was probably overdue for a dud. Hopefully this has gotten it out of their system for the rest of the season. I have faith that the next few episodes will give us some good action. They’ve been talking up Fujisaki way too much to not have that matchup coming soon.